South Otago, and spent his formative years in and around Central Otago, where his father, Walter Howard Townrow, was a school master. Walter was later acting headmaster for two years at Ōtaki School. Howie and Christina Townrow seated, with daughters, from left, Karen Kerridge, Joy Clifton, Jill Sherman and Lynne Baker. Howie, however, was no scholar. He loved the outdoors life and owned ferrets as a lad, using them for rabbiting and selling the skins. He loved the freedom of the hills – just him, his gun and ferrets. The day he turned 15 he left home to work on a farm. After eight months he came to the conclusion that he was never going to get rich at £1 a week, so he left the farm and moved to Momona near Dunedin to work in a dairy factory for two seasons. From there he joined the Post Office and when the Second World War started, he joined the Army. After training, he ended up in Guadacanal and the the Solomon Islands driving supply trucks. After the war he married Christina Thomson and they eventually moved to Ōtaki with their young daughters, Joy and Lynne. He got a job with Harry Tilbury and learned about market gardening. After a few years the couple had saved up enough to buy 12 acres (5 hectares) of bare land on State Highway 1. With much blood, sweat and tears they developed a successful market garden called Double T Gardens. During this time they had two more daughters, Jill and Karen. During his Ōtaki years, Howie belonged to the surf club, the RSA, the golf club and Lions, for which he was president in 1969 and 1970. Howie loved his trout fishing and in 1972 the call became too great – it was time to sell up and move to Taupō and fishing. He loved Taupō but it was too cold for Christina, so after four years they moved to Tauranga where Howie worked at Tauranga Girls’ School as head groundsman. After another eight years they moved to Whakatane, where daughter Lynne lived. Motorbikes were always a passion and he now had the time to indulge this. He was a member of the Whakatane Ulysses Club for many years, becoming its oldest member into his 90s. 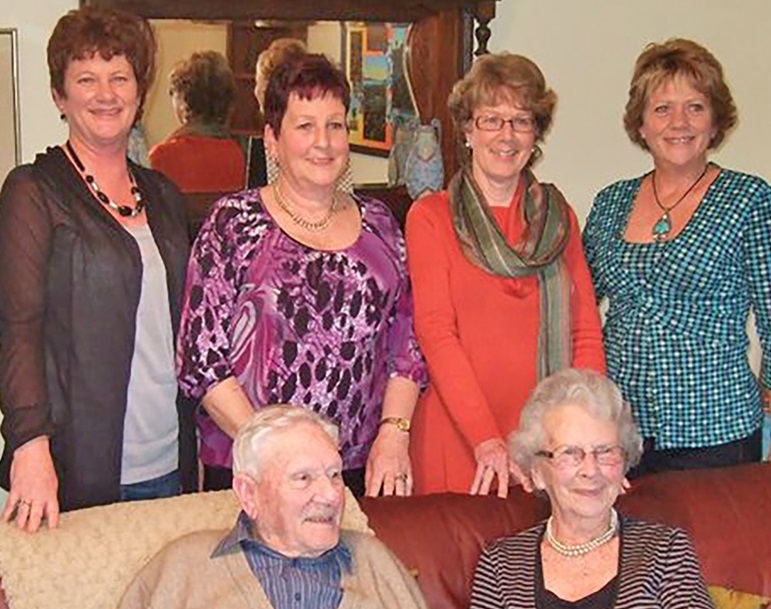 Howie died peacefully in Whakatane aged 96 on February 14, leaving Christina, four daughters, 10 grand- children and 18 great-grandchildren. Original generation time 1.1979 seconds.